Gaming Innovation Group Inc. has re-launched Thrills today as a lightning-fast, instant registration operator by introducing Trustly’s Pay N Play product as its only payment method. The technology is live in Sweden, Finland and Germany and will allow GiG to boost acquisition, build loyalty and stay compliant. As well as going live on Thrills, the technology is also offered to operators on the GiG Core platform, with external brands Omnia and the newly launched Dreamz going live last month alongside another of GiG’s internal operators, Kaboo. GiG is planning to make it available to other operators soon. GiG plans to offer this to other external and internal operators in the near future. Pay N Play enables instant player registration without the significant churn that the iGaming sector has historically experienced as a symptom of the more drawn out registration processes. New players deposit funds instantly and with no account registration necessary. The need for time consuming account verification as part of the registration process will become a thing of the past. Both deposits and withdrawals will become instant transactions with Pay N Play, giving players more control and simplifying their experience. At the same time, operators can retain the strongest registration and security protocols through KYC requirements, which are fulfilled with data supplied directly via BankID. 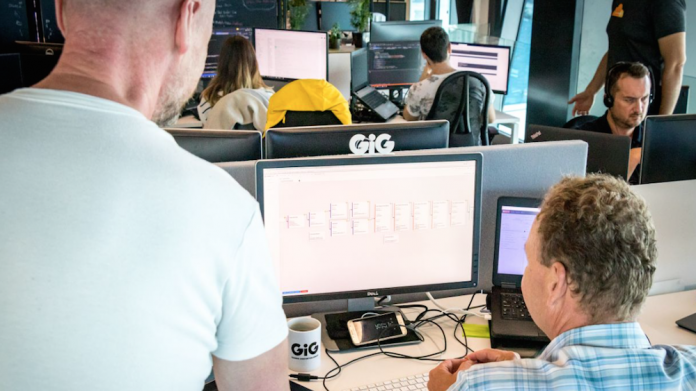 CEO of GiG, Robin Reed comments: “Trustly’s Pay N Play will ease the registration experience for Thrills’ players and enable higher conversion and retention while reducing churn. With instant deposits and withdrawals, this new system supports our promise “to provide fair and fun gaming for all”.